While planning a vacation at new destination it is important to know the attractions of the destination. So while planning Caribbean vacations the utmost priority should be to know more about the top things to do on Caribbean tours. Basically Caribbean’s is an island destination and out of the huge number of islands around twenty eight islands make the list of islands for Caribbean vacations. These islands are unique in the sense each island is different from the other having a specialty of its own. Short listing further the most prominent of the islands are Grand Cayman, Aruba, Jamaica, Puerto Rico, the Virgin islands, Dominican republic, the Bahamas, Turks and Caicos Islands, Belize and Barbados. Grand Cayman popular for its turtle farm, leads the list as the most favored island destination in the Caribbean’s. Island destinations normally are thought of as places to sunbath and relax on the shores or at the most go for some water sports activities. But in the case of Caribbean trip it is not limited only to sunbathing and relaxing you have lot more things to do at Caribbean’s. At Grand Cayman you can visit the turtle farm or watch the stingray fish from a glass bottomed boat. In Barbados get the opportunity to learn how to Surf. Learn kite surfing in a few hours in Orient Bay, St Martin. Interested in taking a snorkeling trip, you can enjoy it at the marine park in Tobago Cays. Also watch the world’s magnificent coral reefs on the islets of Canouan. In Bahamas at Dolphin Cay, swim with the Dolphins. Need more adventure then stand one leg each on the Dolphins who will steer you for an amazing ride of the Lagoon. Go for a remarkable underwater sightseeing tour in a submarine spending time underwater with coral, fish and sunken wrecks at Aruba. Get the unique experience of diving in Curacao once in a year during full moon when the coral reef species release millions of eggs lighting up the sea. You can join the Kayaking tour in St Lucia starting at Marigot Bay heading down the thrilling coastline having pick points at many places. During Caribbean tours you can get the exclusive fishing experience in the waters surrounding Puerto Rico. Puerto Rico is having yet another sensational experience waiting for you. Bathe at Mosquito Bay which is full of tiny light emitting organisms, emitting bluish light in water creating a magical atmosphere. Trek to the top of highest peak of Blue mountains, taste the unforgettable estate grown fresh coffee at one of the coffee farms in Jamaica. Pico Del Toro in Puerto Rico is the highest mountain in the Caribbean’s. If you are an adventure lover you can hike the Mt Britton trail through the cloud forest to reach Mt Britton tower viewing and enjoying the awesome spectacles of nature. Join the Crayola Art Camp at Boscobel Resort & Golf and learn with fun how to make collages, create murals and how to use advanced water, oil Pastel colors. Experience electrifying trail through the rainforest to the seven sisters falls in Granada and enjoy the fun of bathing and swimming under the waterfall. Trinidad is located on a major migratory bird’s route. So you can enjoy watching migratory birds like Trinidad piping guan, bearded bellbird and scarlet ibis. 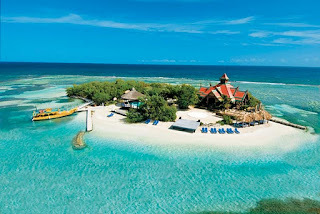 Traveluniversally.com offers cheap Caribbean vacations classified as Featured Caribbean Vacations and Preferred vacation packages. You can select from the budget to superior deluxe, Luxury and Ultra Luxury as per your requirements. Visit Traveluniversally.com for more details and vacation bookings.